Welcome to the Golf Monthly Hole In One Club, a place for you to celebrate, show off to your friends and be recognised for your hole-in-one success. Have you had an ace? If you would like to be a part of the club simply send an email to golfmonthly@timeinc.com with 100 words about your hole in one, including the date, hole number and club it was achieved with and other details such as the length of the hole, playing conditions etc. A picture of you celebrating the hole in one would also be great, and if there are any videos of you or your friends achieving the feat please send them over. 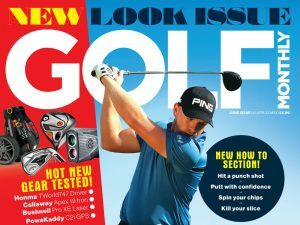 Your success will be featured on both the Golf Monthly Facebook and Twitter pages. We will share the best stories, pictures and videos each month on the Golf Monthly social media channels as well as right here on the Hole-In-One Club’s homepage.